Over the last 12 months loads of people have asked me what is Community Organising? There are many definitions, but I sometimes think it’s easier to explain by sharing the journey of a person that has become a Community Organiser. I recently had the pleasure of bumping into a lady called Gina. Gina had suffered various health problems that caused a period of depression. She was shy and anxious about being in public. In her own words she had “become poorly and lost my friendship circle so became isolated and lonely.” 8 months later Gina has set up 2 Good Neighbours Schemes, which offer practical help to older people (whether it's collecting a pension or a repeat prescription, walking the dog or changing a light bulb). She has recruited 18 volunteers and is helping 3 other people to set up a similar group in Lincoln, Mansfield and Derby. 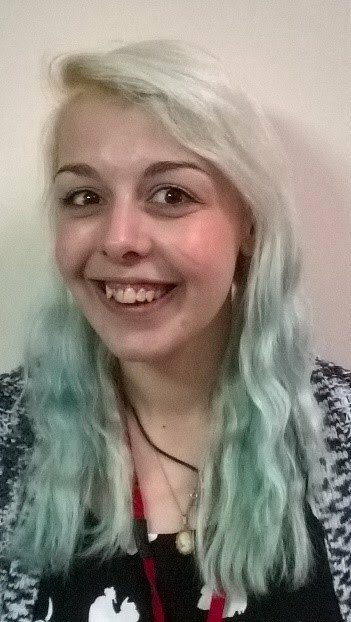 She has started to help facilitate networking meet ups across Nottinghamshire and has become a speaker at Community Organising workshops. All this progress in only 8 months? Did the Spirit of Community Organising visit her? Gina had always been passionate about helping others in her community but like most of us, she didn’t know where to start. When I met Gina I listened to her and learned about her love, concerns, vision for the future and about her beautiful idea. Gina said she new other friends that shared her idea and agreed to have a conversation with them with the view to bringing them to a meeting with me, which she did. At the meeting Gina and her friends discussed the idea in more detail, and with a bit of encouragement realised that their idea could be done and they all committed to setting up a Good Neighbours Scheme community group and within 1 week they were running a Bingo group at an older peoples independent living complex in Beeston, Nottingham. As the group began to develop, Gina and her friends began to worry that they were out of their depth because they had never run a community group before, now they had a group of older people that had started to depend on them. The group then decided to book onto one of our free 1-day Introduction to Community Organising workshops and learned how to understand the importance of listening to build relationships, explore power and power dynamics in communities, develop their skills to motivate people to take action. Gina’s renewed confidence is infectious, and she has inspired many others to get involved. Her group are now doing home visits for the elderly, organise events and volunteer for many Independent living complexes across Beeston and Chilwell. Gina says “I feel getting involved with the Community Organisers is now having a positive impact on my health. I have developed friendships with social group members who I have been supporting to run activities. This project has given me a sense of purpose and I feel useful again. I am extremely happy that Community Organising has come to Beeston. It's helped to empower me and I'm beginning to take on new challenges.”. Notts Social Action Hub AKA Community Organising Notts has a range of workshops coming up across Nottinghamshire. Our next few are in Bulwell, Aspley, Edwinstowe, Mansfield, Sneinton and Beeston. If you would like to find out more about our future training or discuss your idea with a local community organiser send an email to training@sneinton-alchemy.com. Written by S Smith, Senior Community Organiser.